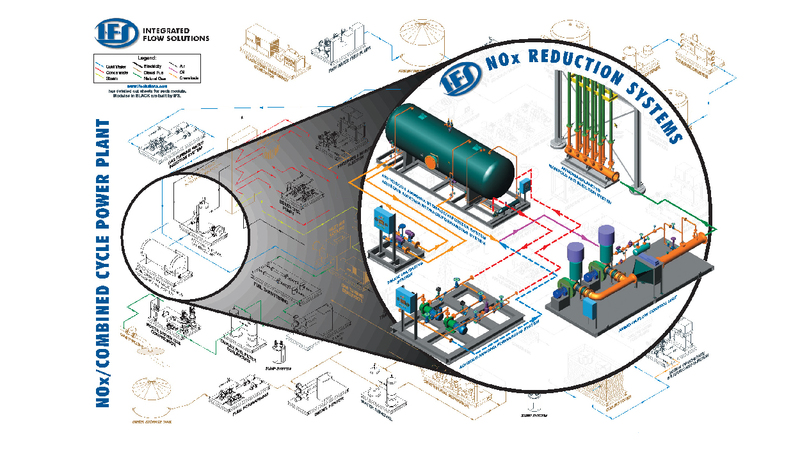 Integrated Flow Solutions, LLC (IFS), formerly Flowtronex International, specializes in the design and manufacture of modular “engineered-to-order” (ETO) and “configure to order” (CTO) liquid and gas process systems. 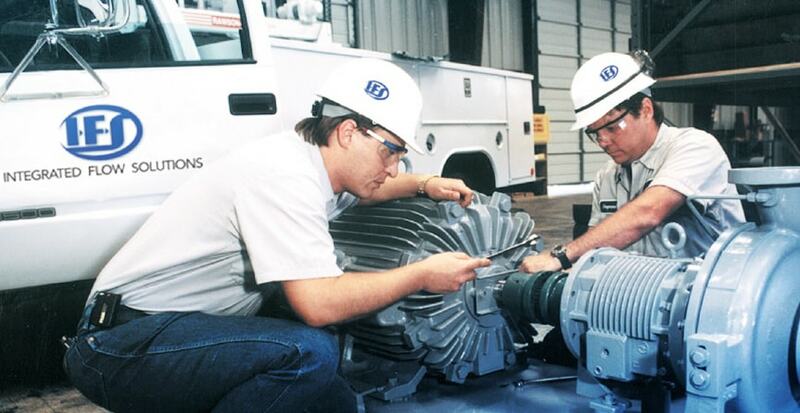 Founded in 1979 as an outgrowth of the pump distribution business, IFS serves the Oil & Gas, Power, Air Quality and General Industries. IFS maintains a marketing and sales staff headquartered in Houston, Texas and an operations staff (engineering, design, and manufacturing) in Tyler, Texas. This structure puts sales and marketing closer to IFS’s customer base allowing sales to react to changes in markets while utilizing lowered costs for manufacturing product. 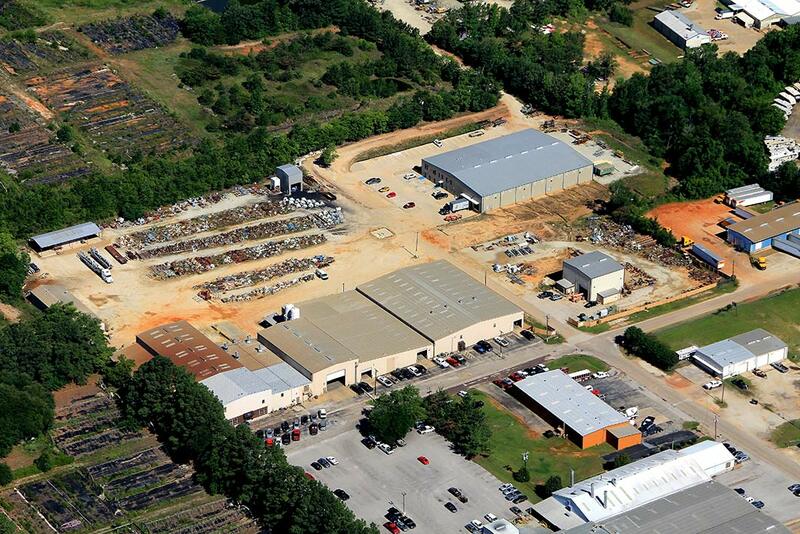 IFS is committed to providing quality products and services to our customers through design, manufacturing, and service of equipment and process solutions while maintaining a commitment to excellence and the best interest of our employees and shareholders. To provide value to clients and supply chain partners through design, manufacturing, and service of equipment & process solutions while maintaining a commitment to excellence and the best interest of our employees and shareholders. To be recognized by customers and competitors as a World Class Organization, ranked globally among the best. IFS’s products serve the Oil & Gas, Power, and Air Quality industries. 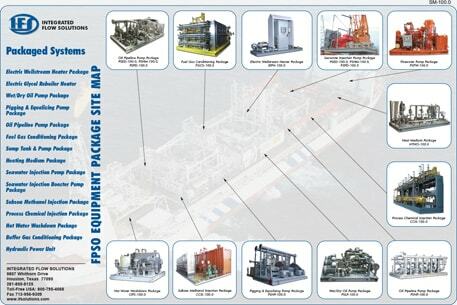 IFS has designed unique “Site Maps” to communicate typical plant process flow and the products manufactured by IFS. 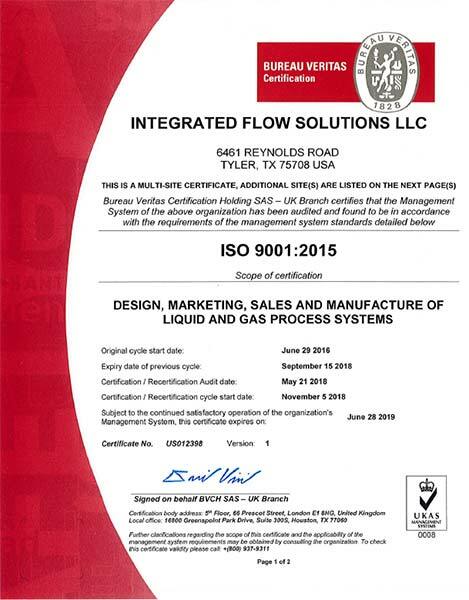 IFS QUALITY POLICY: Integrated Flow Solutions, LLC is committed to meeting or exceeding our customer’s requirements for product quality and delivery while maintaining the best interests of our employees and shareholders. Consistently meeting or exceeding our customer’s expectations for product quality, delivery, and pricing. Always providing a high level of product support, including technical support, instruction manuals, field services, and replacement parts. Constantly provide a safe and adequate workplace to perform the tasks required of the employees. Continually improving our management system and the service we provide to our customers. Adhering to all statutory, regulatory, and customer requirements, as well as those defined in the international standard ISO 9001. 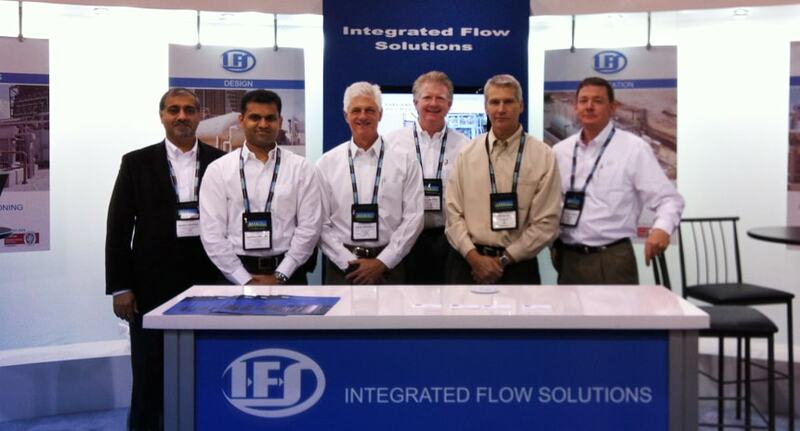 IFS sales and applications staff reviews each customer inquiry in detail. In many cases, proposals provide alternate solutions to a customer’s application incorporating IFS’s knowledge and experience. 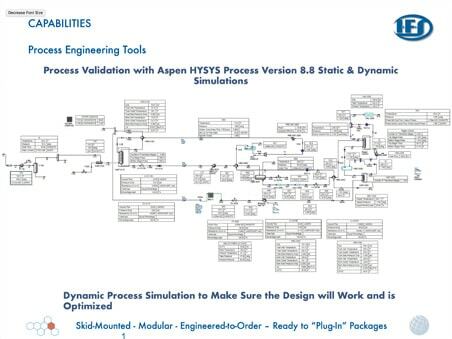 Typical proposals also include process simulations, process & instrumentation diagrams (P&IDs), footprint outline drawings, and past project photos. Equipment installation lists are available upon request. IFS sales/applications staff exhibit in industry trade shows like Power Gen International and the Offshore Technical Conference. IFS utilizes the latest Autocad 3D software to generate models of each package. These models minimize equipment interferences and maximize safety and human interface designs. The design models are submitted to IFS customer for review and comment. Each project management team consists of a dedicated project manager, project engineer, and design team to manage each project from start to finish. The project manager is the single point contact with the customer. All project activities are maintained by a dedicated IFS scheduler in a consolidated Project Schedule. Each project schedule is updated and reviewed weekly by IFS’s management staff during the Order Log Meeting. The Order Log Meeting minutes are recorded/saved as an ISO 9001 control record. IFS knows the proper integration of automation and controls with packaged mechanical equipment is important. IFS understands the process requirements to design and supply the best controls for the job. 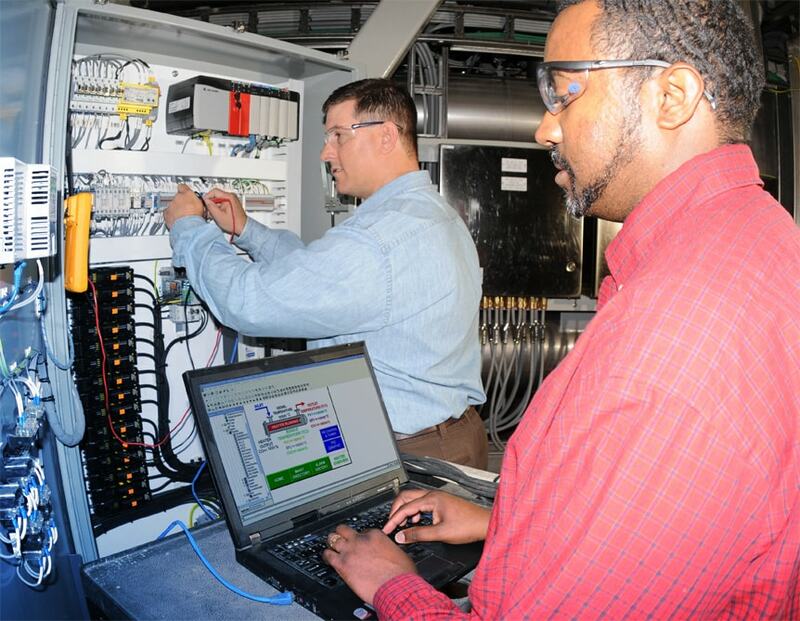 From microprocessors monitoring and controlling the simplest functions to PLCs incorporating control functions outside IFS supplied packaged equipment, automation is a large part of IFS’s added value. IFS electrical and mechanical engineers are experts in automation and controls design.